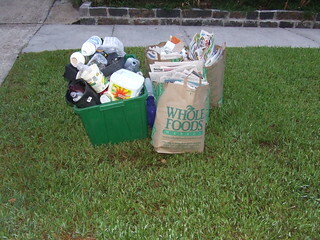 You know how people have been complaining about the inadequacy of curbside recycling? This is why. We generally have less garbage than we do recyclables, yet the garbage can is way bigger than the recycling bin. Something is wrong there.